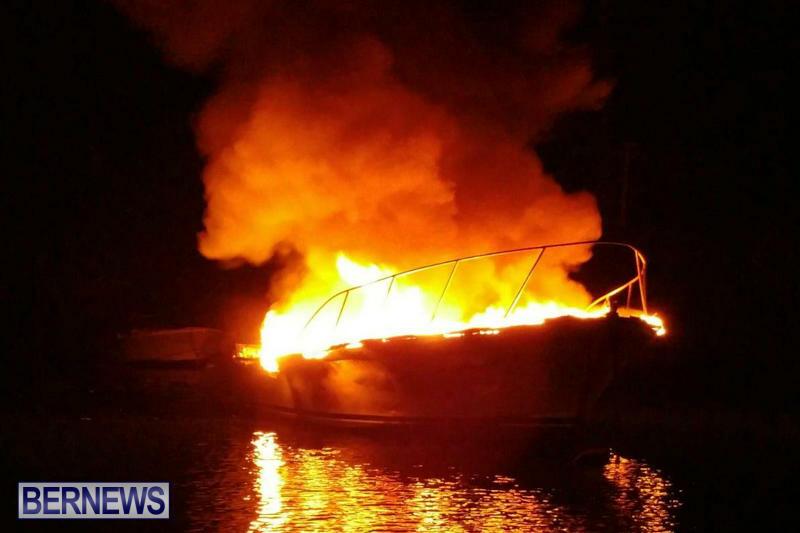 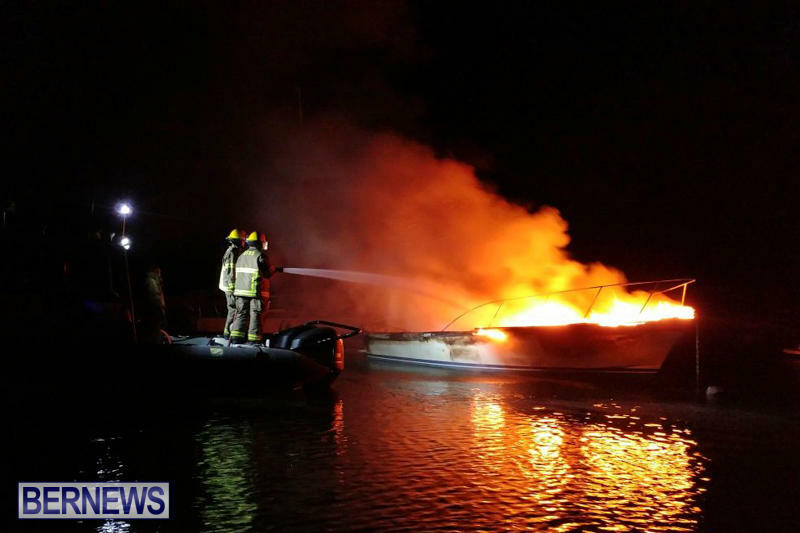 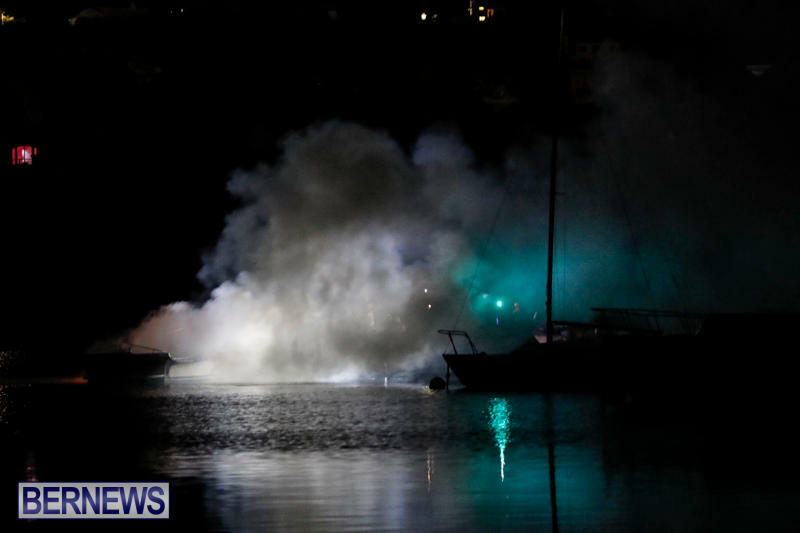 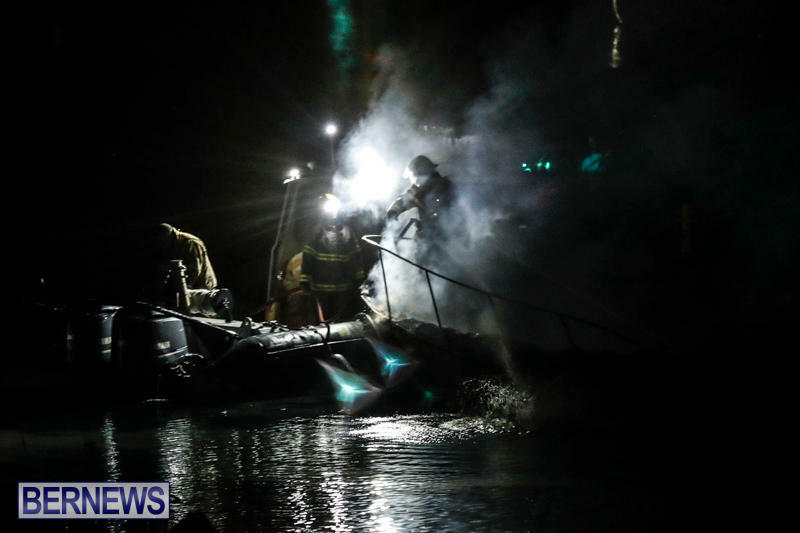 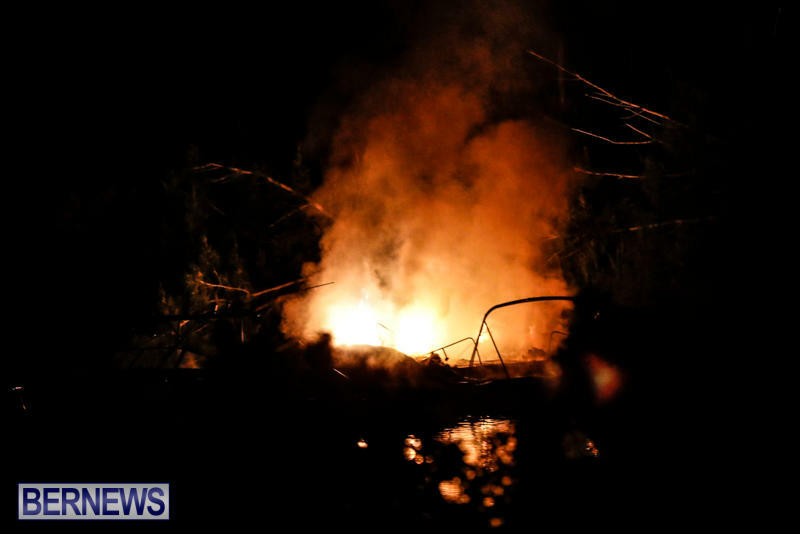 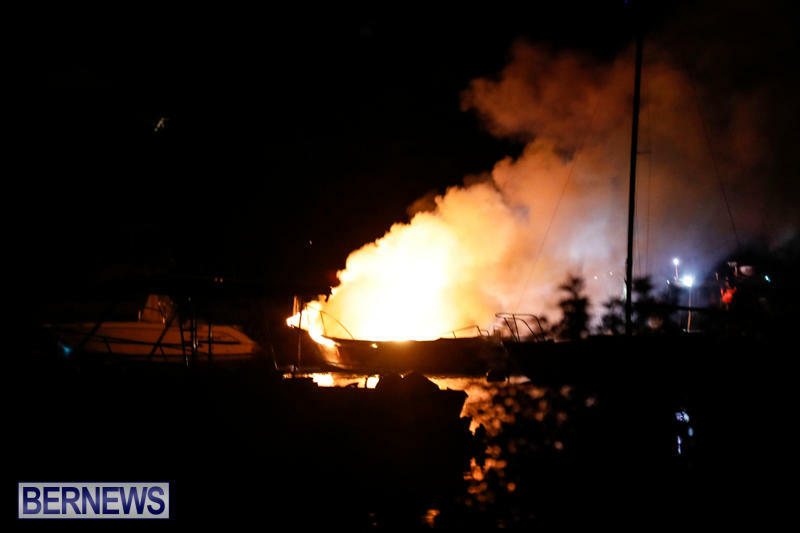 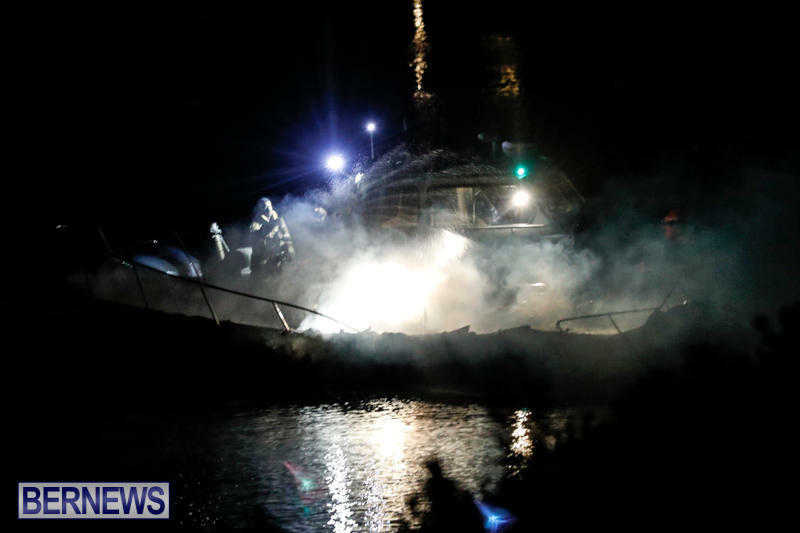 [Updated with video] The Bermuda Fire and Rescue Service responded to Riddell’s Bay in Southampton early this morning [Sept 1] where multiple boats were on fire. 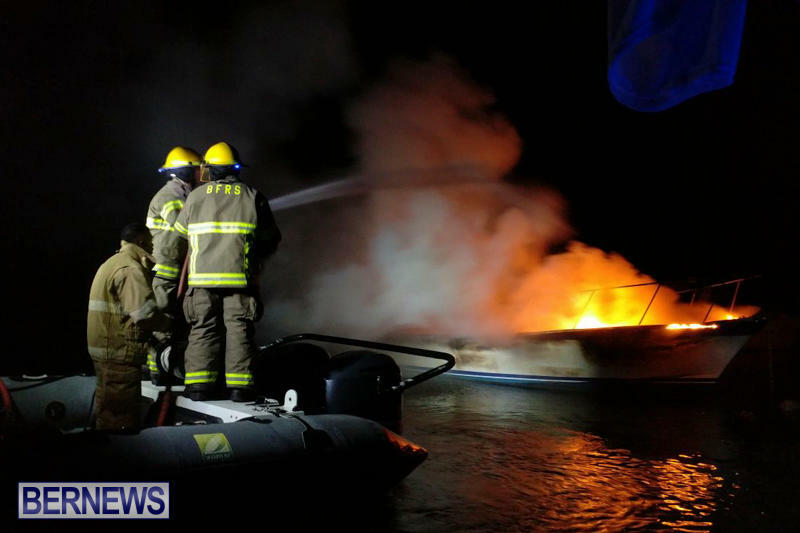 “The Fire Service responded to the incident with 4 vehicles and 10 personnel. 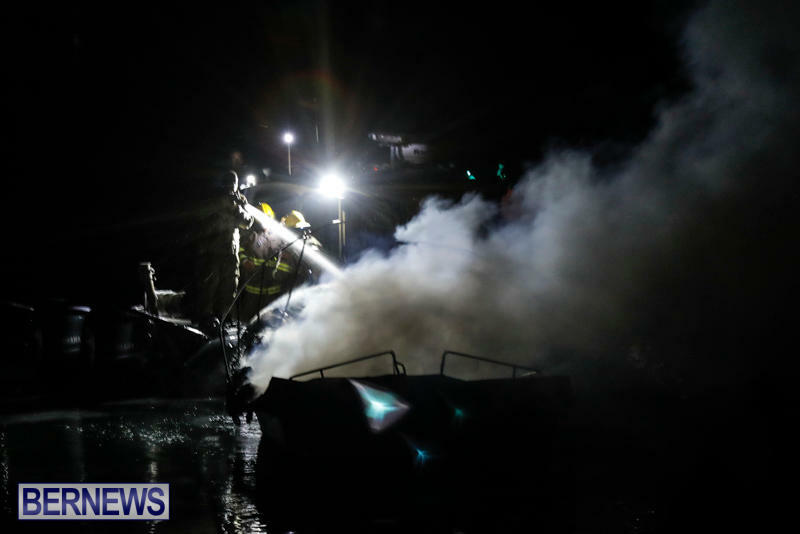 “The fire is currently being extinguished. 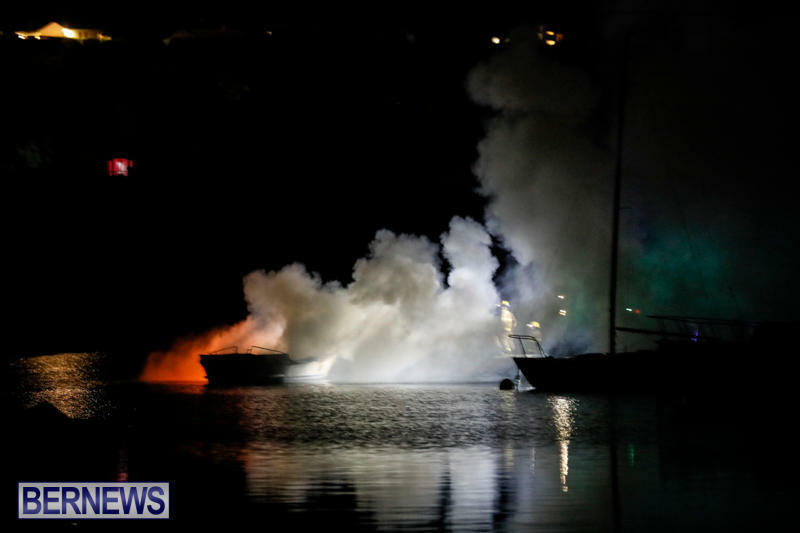 Clearly you are priviledged if you think that family boats being burned down to nothing is something to joke about….